The World Bank Group (WBG) and United Nations High Commissioner for Refugees (UNHCR) announced on October 20 that they will establish a joint data centre on forced displacement to greatly improve statistics on refugees, other displaced people and host communities. The data center is expected to be ready for operation in mid-2018. It leverages UNHCR’s role as the reference institution for refugee data, combining it with the WBG’s analytical expertise and experience helping national governments improve statistical capacity. The new centre will enable a better informed and more sustainable response to forced displacement, underpinning a coordinated humanitarian-development approach. It will cover refugees, internally displaced persons and other groups as well as host communities. It aims to ensure that population and socioeconomic data are systematically collected and analysed and facilitate open access to forced displacement data, while ensuring the integrity of the legal protection framework. The data centre is expected to strengthen the global data collection system, establishing common norms, definitions, and methodologies, and support efforts to fortify country systems where necessary. It will also promote innovations to enhance forced displacement data through satellite imagery, cell phones, and other new technologies. With almost 90% of refugees living in the developing world, and more than half displaced for over 4 years, there is recognition by the international community that humanitarian interventions need to be complemented by a longer-term development response. UNHCR and the WBG have been strengthening collaboration under this new approach, which is reflected in ongoing efforts to develop a global compact on refugees for adoption by the end of 2018. Delivering such a comprehensive response requires high-quality, timely data, which was also underscored in the New York Declaration for Refugees and Migrants of September 2016. Global-level data defines the international agenda, while country-level data informs policies and helps to target aid resources appropriately. More needs to be done to strengthen the collection, quality, access, and use of data. The potential impact of enhanced cooperation between the WBG and UNHCR is significant. For example, detailed data, where they were available, enabled the two institutions to prepare reports on the welfare of Syrian refugees in Lebanon and Jordan, which in turn led to a better targeting of humanitarian assistance as well as the preparation of development projects. In Kenya, it made possible a detailed analysis of the role of the Kakuma refugee camp in the local economy, demonstrating that the presence of refugees had a positive effect overall on economic growth in Northeast Kenya. Systematically making data available will allow scaling up of such critical analytical work, which is essential as the WBG and UNHCR collaborate to support both refugees and host communities. Evidence-based information will also be available for use by practitioners and policy makers to improve programs and projects on forced displacement. “The scale, complexity and speed of today’s refugee crises mean we can no longer afford to respond through humanitarian action alone. It is more important than ever to mobilize resources and plan for the longer term from the beginning. 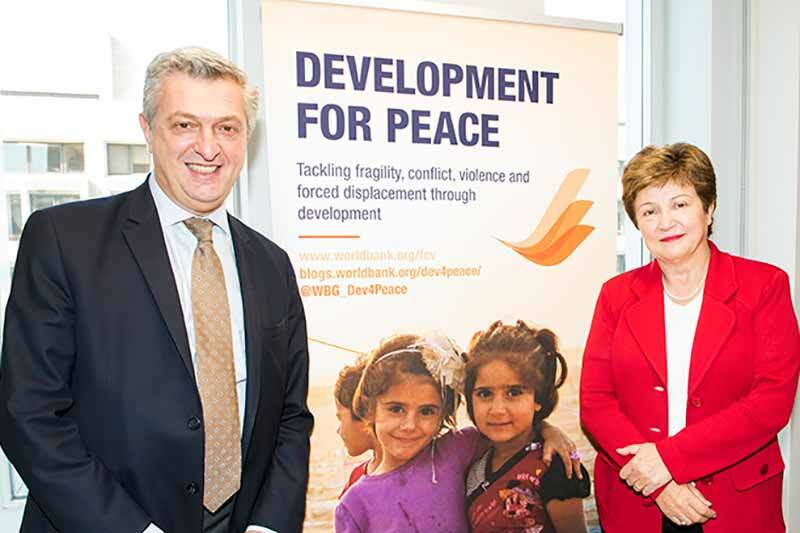 This is why early access to reliable data for development partners like the World Bank is so important,” said United Nations High Commissioner for Refugees, Filippo Grandi.